Using this form you can send us some details of your dent and we'll do our best to help. Even if you are just looking for advice or rough pricing, don't hesitate in getting in touch. Alternatively if you would like to give us a call or email us direct, you can find our details below. Have a dent repaired from the comfort of your home or work today using the award winning Paintless Dent Removal (PDR) technique. Our service area includes Leeds, Bradford, Harrogate and many more locations throughout West Yorkshire. Give us a call today on 07970152698. Having some trouble with your car? Has a shopping trolley, a football or another driver dented your vehicle? It is very easily done, yet just as easily fixed! 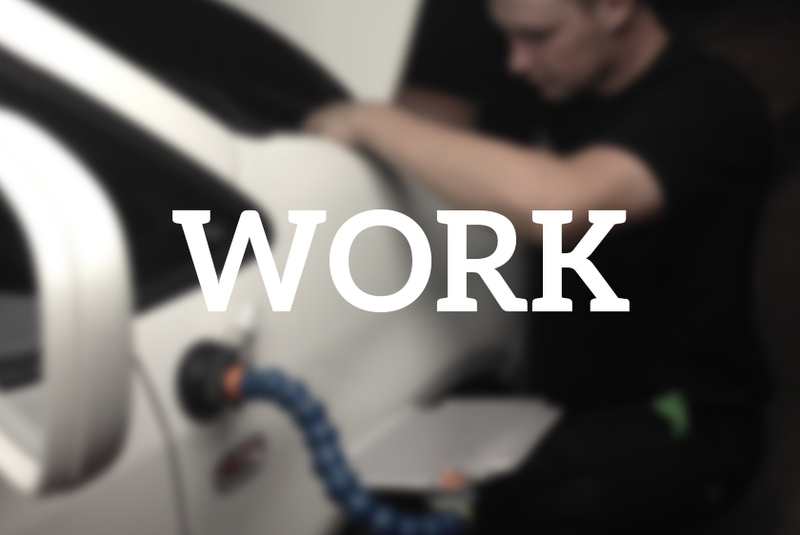 The Paintless Dent Removal technique is an award winning way to bring a car's bodywork back to factory condition. So don't let the damage spoil your day, we can help. Come and have a look at our previous work. This should give you an idea of the results we can achieve. Have a question about how Paintless Dent Removal works? You'll find it in here! If not then just email us direct. If you need our help with a repair, then get in touch and we'll get back to you as soon as possible.